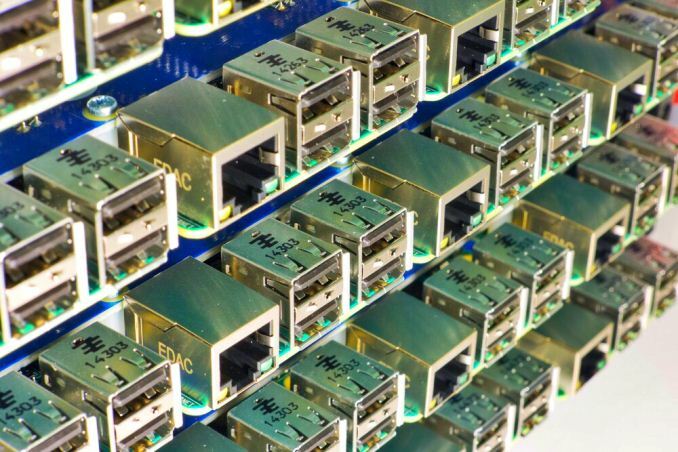 One of the more esoteric announcements to come out of SuperComputing 17, an annual conference on high-performance computing, is that one of the largest US scientific institutions is investing in Raspberry Pi-based clusters to aid in development work. 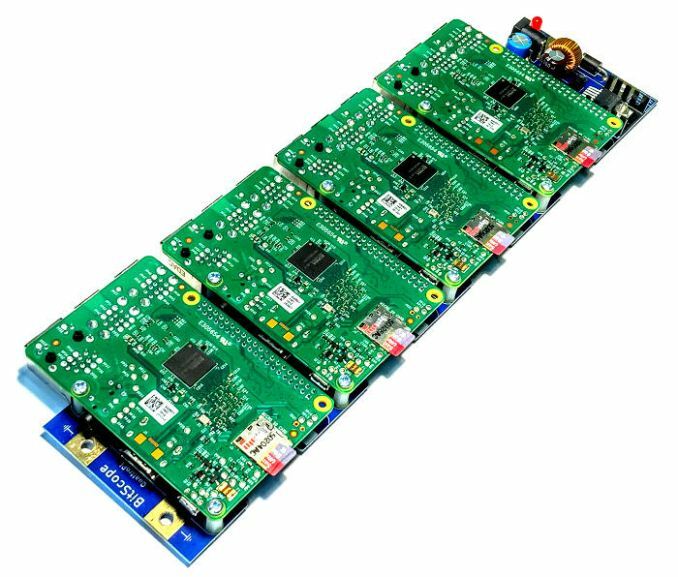 The Los Alamos National Laboratory’s High Performance Computing Division now has access to 750-node Raspberry Pi clusters as part of the first step towards a development program to assist in programming much larger machines. The platform at LANL leverages a modular cluster design from BitScope Designs, with five rack-mount Bitscope Cluster Modules, each with 150 Raspberry Pi boards with integrated network switches. 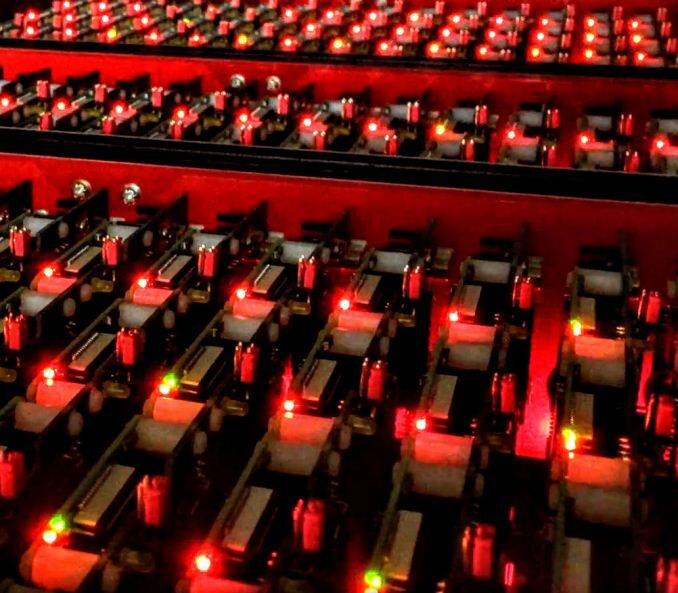 With each of the 750 chips packing four cores, it offers a 3000-core highly parallelizable platform that emulates an ARM-based supercomputer, allowing researchers to test development code without requiring a power-hungry machine at significant cost to the taxpayer. The full 750-node cluster, running 2-3 W per processor, runs at 1000W idle, 3000W at typical and 4000W at peak (with the switches) and is substantially cheaper, if also computationally a lot slower. After development using the Pi clusters, frameworks can then be ported to the larger scale supercomputers available at LANL, such as Trinity and Crossroads. “It’s not like you can keep a petascale machine around for R&D work in scalable systems software. The Raspberry Pi modules let developers figure out how to write this software and get it to work reliably without having a dedicated testbed of the same size, which would cost a quarter billion dollars and use 25 megawatts of electricity.” Said Gary Grider, leader of the High Performance Computing Division at Los Alamos National Laboratory. 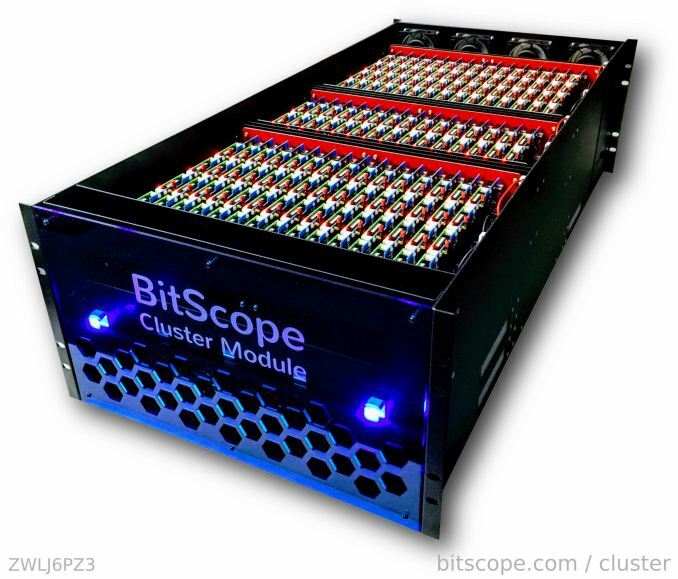 The Bitscope Cluster Module is currently being displayed this week at Supercomputing 17 in Denver over at the University of New Mexico stand. Depending on clock speed(/cooling) a Raspberry 3 achieves 3-6 GFlops. Assuming optimal performance&scaling it achieves 4.5 TFlops.